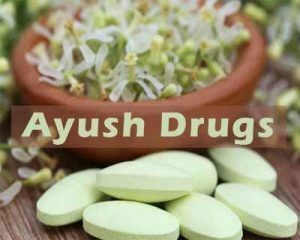 New Delhi: Coming down heavily on increased cases of traditional medicines failing the testing process, a parliamentary committee has urged the AYUSH Ministry to take stringent action against erring manufacturers. The Committee has sought a regulation for efficient quality control of such drugs to build their credibility and strengthen the process of mainstreaming them. It pointed out that a large sample of ASU&H drugs had failed the testing procedure in 2013-14, 2014-15 and 2015-16 and that in 2016-17, out of 330 samples tested, 36 failed. “The Committee is of the firm view that in case of samples failing the testing process, strict action needs to be taken. Merely issuing show-cause notices, suspending or cancelling licenses would not help as the defaulters may start again with a new license,” the Committee said in its report. “The defaulters must be prosecuted for trying to play with the lives of people,” it said. The Parliamentary Committee also expressed disappointment over “no real progress” been made, even two years after the decision to set up a vertical structure in the Central Drug Standard Control Organisation (CDSCO) was taken. Stating that only 12 regulatory posts have been notified and that the recruitment rules for these posts were still in the process of finalisation, the Committee asked the AYUSH Ministry to take up the matter with the Health Ministry. The Committee further stressed on the need for sensitisation of practitioners of Allopathy about the strengths of AYUSH system so that the “ignorance” about such traditional medical care was dispelled and it was integrated with the health delivery system.